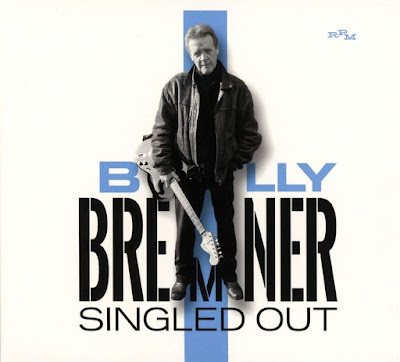 Discussions Magazine Music Blog: Shake 'n' Pop: BILLY BREMNER's Singled Out reviewed! Shake 'n' Pop: BILLY BREMNER's Singled Out reviewed! Rockpile remains one of Rock ‘n’ Roll’s most respected but commercially overlooked bands. In terms of credibility, how could you go wrong with a band featuring Nick Lowe, Dave Edmunds, Billy Bremner and Terry Williams? 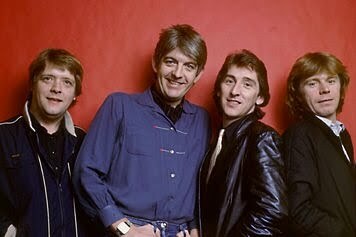 While Rockpile recorded albums that were credited to either Edmunds or Lowe, they only recorded one proper studio album under their collective name – 1980’s SECONDS OF PLEASURE - before the band split up. Nick and Dave continued their successful solo careers while Terry joined Dire Straits. The band’s secret weapon – guitarist/vocalist Bremner – also pursued a solo career as well as working with The Pretenders (that’s him playing lead guitar on “Back On The Chain Gang”), Shakin’ Stevens, and many others. He did appear on Lowe and Edmunds’ solo albums as well. While not as high profile as his former bandmates, Bremner has released four solo albums over the years and worked with a multitude of other artists. Often overlooked on his own merits, the best of Billy’s solo material has finally been compiled on the excellent SINGLED OUT collection courtesy of RPM/Cherry Red. While it doesn’t contain any recordings he sang on the Rockpile album, it features material he recorded both before and after his stint with that outfit. The most well-known material from his 1984 BASH! album is joined by a bunch of gems spanning his years as a solo artist including two brand new tracks and previously unreleased demos. Bremner’s material leans towards the straight-forward Rock ‘n’ Roll of Edmunds but he manages to inject plenty of hooks and charm ala Lowe. The BASH! material featured here includes the fab “Loud Music In Cars,” the Elvis Costello-penned “Shatterproof” and “Fire In My Pocket.” (NOTE: much of the BASH! material was co-written and produced by Will Birch, formerly of The Records!) It may seem odd that the A-sides of “Laughter Turns To Tears” and “When Love Goes To Sleep” (written by Chris Difford and Glenn Tilbrook) are missing from this collection, but the four demos make up for it. Included amongst those demos are two tracks Billy wrote and gave to Dave Edmunds: “Trouble Boys” and “Creature From The Black Lagoon.” The later tracks on this collection leading up to 2018 are definitely on par with those early solo ventures – “No If, But, Maybe” is a highlight and certainly one of his best A-sides. While my earlier statement is true about this comp not featuring any recordings from the SECONDS OF PLEASURE album, “Heart” does appear here as an unlisted demo and the arrangement is very close to the final version and such an absolute joy to hear. SINGLED OUT shines the spotlight on an artist that is deserving of the same accolades that his former bandmates have been receiving all these years. Hopefully, this compilation will remind music fans just how talented Billy Bremner is. If you’re unfamiliar with his solo material but love Rockpile, you’ll be hooked by this tantalizing look into a life well rocked! It is a pleasure to read anything about Billy Bremner online and your review of this new comp is fantastic.